Ďolíček Stadium or Dannerův stadion as it is formerly known, is a multi-purpose football stadium located in the Vršovice district of Prague – Czech Republic’s capital city. Used primarily for the football matches of local team Bohemians 1905, the 7,500 capacity ground was last renovated in 2007. Ďolíček Stadium officially opened on 27th March 1932 with a match between Bohemians 1905 and SK Slavia Prague. 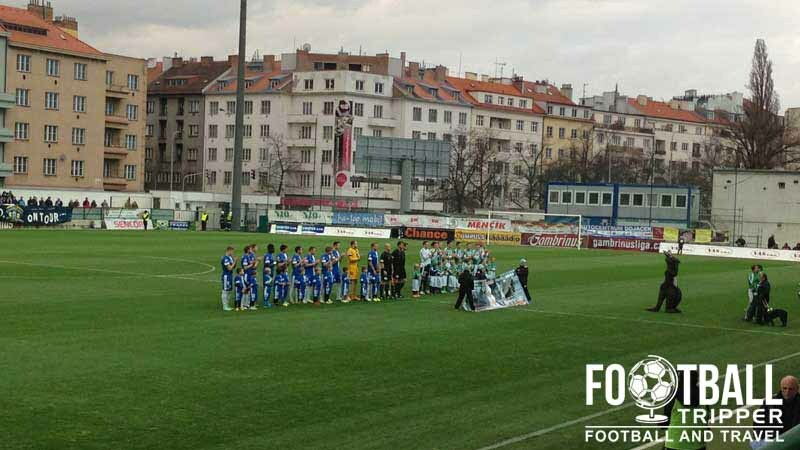 To properly inaugurate the stadium however a second match between Viktoria Zizkov and Teplitzer FK was hosted immediately afterwards. The ground was initially known as Dannerův stadion upon opening, but later became Ďolíček which translates as Dimple. Dolicek’s current form was largely achieved after large scale renovation in 2003. 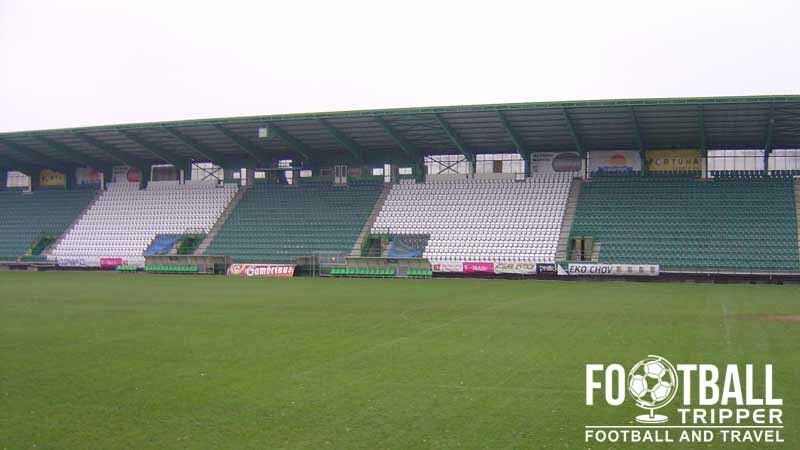 Like the majority of Czech stadiums at the time, the 13,388 capacity of Bohemian’s ground was achieved through a high proportion of terracing to seating. After more stringent stadium requirements were introduced into the league the official capacities of a lot of stadiums greatly diminished. The capacity after renovation was set at 9,000 which included 3,800 seats, however after the rest of the stadium was converted to seating the capacity became just 7,500 which is just over half of the original, before renovation work. For two seasons (2010/2011 and 2011/2012), Bohemians played their home matches at the much more modern Eden Arena and Ďolíček’s usage was relegated for matches of the B team. 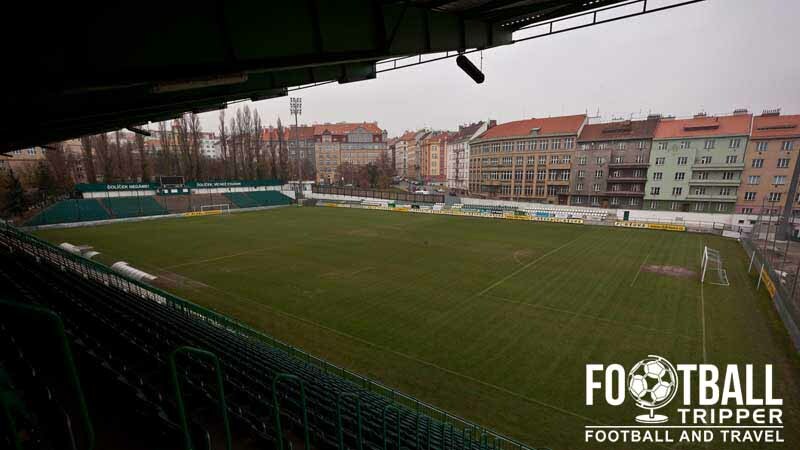 Bohemians 1905 returned to their spiritual home however after an agreement to purchase Dolicek from the city of Prague was finally reached on 12th December 2011. Whilst Stadion Dolicek has yet to host Champions League football, the stadium has hosted many campaigns of the UEFA Cup particularly during the 1980s. Bohemian’s best run came during the 1982/1983 season when they reached the semi-finals before losing to Anderlecht. 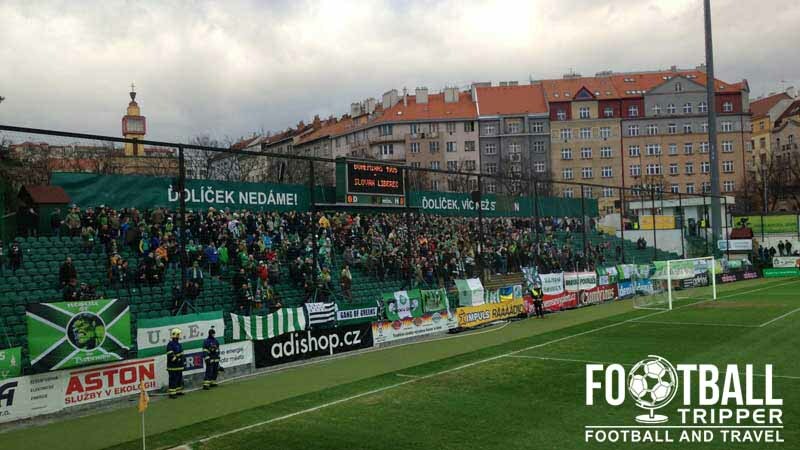 The extended cup run saw Dolicek host glamour ties against the likes of Admira-Wacker, Saint-Etienne and Dundee United. Dolicek Stadium is comprised of four stands: North, East, South and West.